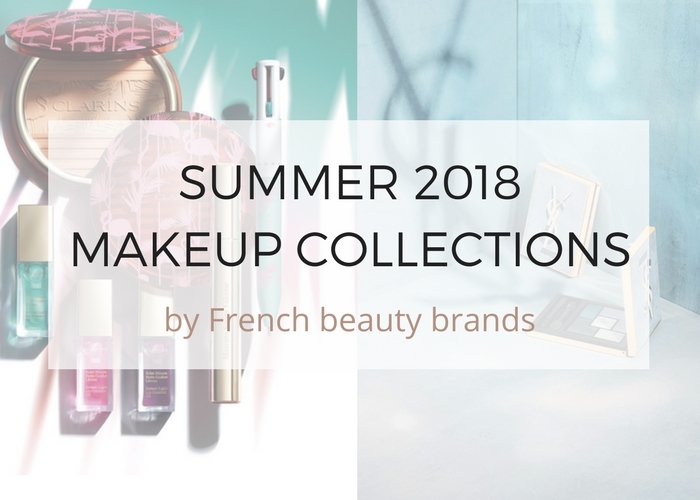 Are you ready for more summer makeup collections by top French beauty brands? After Dior, YSL and Clarins in part one, we'll take a closer look at what Chanel, Guerlain, Lancôme and Givenchy have to offer for the upcoming season. - Les Beiges Sheer Healthy Glow, a tinted moisturizer with SPF30 that comes in 6 shades. - Les Beiges Healthy Glow Natural eyeshadow palette now available in 3 shades, from Light to Deep. - Les Beiges Healthy Glow Sheer Color Stick, a blush stick in a new shade of raspberry red, no25. - Les Beiges Healthy Glow Lip Balm, coming in 3 shades. - A new Les 4 Ombres eyeshadow quad in Eclat Enigmatique, with shades of ivory, grayish khaki, warm brown and muted red. Last year's summer quad by Chanel got raving review and I thought about buying this one, as the formula seems similar, but I don't wear red on my eyes. - A new edition of the Palette Essentielle in Eclat Solaire, with two highlighters in gold and beige and a raspberry red lip/cheek color. - L'Eau Tan, a self-tanning body mist that also refreshes and hydrates. - Four new shades of the Crayon de Couleur lipstick (that I reviewed a while back): A La Rosée, Rose Shocking, Au Naturel and Ultra Rose. - Three new shades of the popular Stylo Yeux Waterproof: Secret, Charme and Révélation. - Three nail polish colors: light pink Halo, soft khaki Légèreté and muted mauve Chicness. - The Terracotta Rêve d'Eté Tinted Skincare Jelly, a gel tinted moisturizer for an immediate sunkissed look. - Three shades of the new Terracotta Kiss Delight balm lip gloss: Apricot Syrup, Grenadine Syrup and shimmery Peach Syrup. These look incredibly similar to the Clarins Lip Comfort Oil (my review)! - The Terracotta Light, a bronzing powder with a mix of colors to add a healthy tan to the skin comes in 6 shades with warm or cool undertones. I reviewed the Clair Rosé a few weeks ago, take a look at my post for all the details. - The Terracotta special edition Route des Iles, with a beautiful compass design in a wooden compact. - The Terracotta Summer Glow highlighter, in a golden hue. - Météorites Le Parfum: long time fans of the brand had been asking for it for years and Guerlain finally created a fragrance based on the beloved violet scent of the Météorites Pearls of Powder. I haven't had a chance to smell it yet, but from what I heard it is inspired by, rather than identical to, the smell of the powder. I absolutely love that violet scent so I'm really excited to try it! - A new and limited edition of the Meteorites Pearls of Powder in Rainbow Pearls. The tin container shows some bold strokes of color, but the pearls inside are more pastel and appear rather similar to the permanent Claire. Again I haven't had a chance to see it in person, but the design of the tin box this year isn't really my thing. - Bronze & Glow Palette in It's Time To Glow and Your Pink Glow. Each palette has bronzing and highlighting shades, with It's Time To Glow having a large outer portion of the compact dedicated to bronzers and a central circle for highlighters, while Your Pink Glow is the exact opposite. I haven't seen this one in person either, but from what I understand all the shades are shimmery in both palettes, including the bronzy tones. - A new shade combination of the Glow For It highlighter palette called Sunkiss Glow, with shades of champagne, bronze and deep shimmery bordeaux. I reviewed this palette in another shade combination, read my post for details and all my thoughts. - The Teint Idole Blush Sticks, a new formula that comes in three shades: Red Flush, Pink Flush and Coral Flush. I love cream blush so I find these sticks very tempting but at $39 a piece I feel like they're overpriced! Lancôme also supposedly released highlighter sticks in Europe, but I haven't seen them in the US so far. - Monsieur Big Color Lash Top Coat mascara in blue, green, gold and pink. Why are colorful mascaras always part of summer collections? Bright colors on the lashes is not something I'd wear, but I imagine it could be fun to create bold statement looks. - Bouncy Highlighter in African Light: this highlighter seems to have the same jelly consistency as some of the brand's past blushes - I'm not sure how it's supposed to retain the beautiful designed embossed on the surface with that kind of texture. I think it looks stunning, but the few reviews I've seen so far were rather bad. - Prisme Blush & Bronzer Duo in African Earth, with a shimmery gold and a warm, reddish brown. 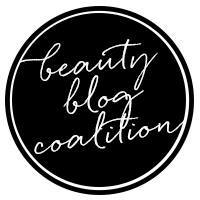 I think this duo could look gorgeous on deeper skin tones! - Two new shades of the Rouge Interdit Vinyl lipstick, African Copper and African Raspberry. - The well-rated Khol Couture Waterproof in African Bronze, which seems to be a greenish khaki color. 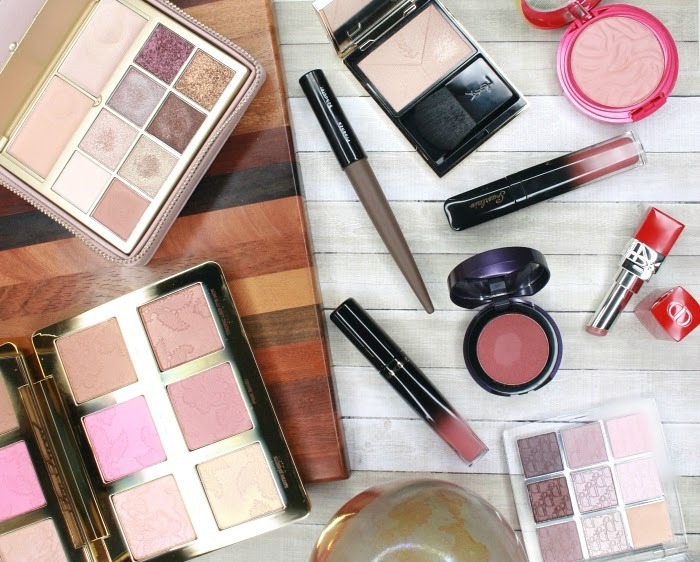 Have you started shopping for summer makeup yet? What are your favorite collections this year? I received no compensation to write this post, which only reflects my personal opinion. This post contains affiliate links. 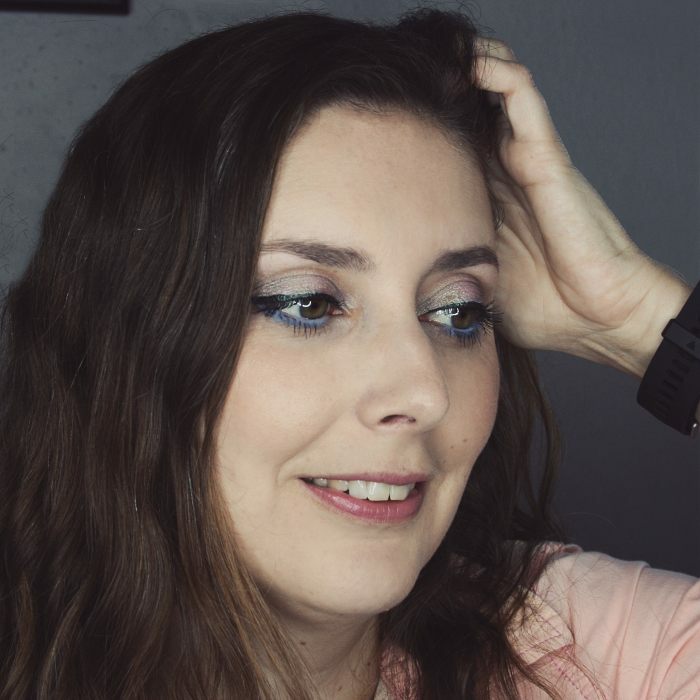 I receive a very small commission when you click on those links, and the money generated covers a small portion of my expenses to purchase products for review. Clicking on those links helps ensure that Beaumiroir continues to publish reviews of new and exciting high end French products - at no cost to you!